Organizations need to communicate quickly… but also secure. 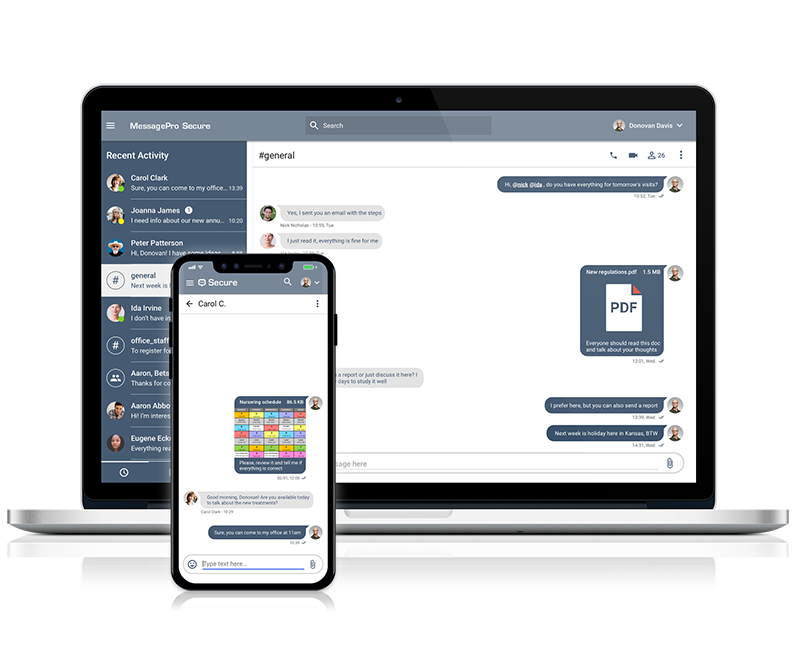 That’s why MessagePro Secure is an alternative, which provides you with the immediacy of texting but also thanks to its encryption that complies with the HIPAA requirements. It includes calls and video calls, fast file transfer, user management… All this makes it ideal for medical and health organizations. MessagePro services ideally fit our changing practice needs and improve our efficiency as well. We added capabilities that build our practice revenues while saving money on fax and appointment reminders. MessagePro staff is first rate, too, helping us easily set up our services and assisting us with changes. Want to Know More About MessagePro for Medical & Healthcare? Let’s Talk!